This listing is for 3 Total Control Balls. 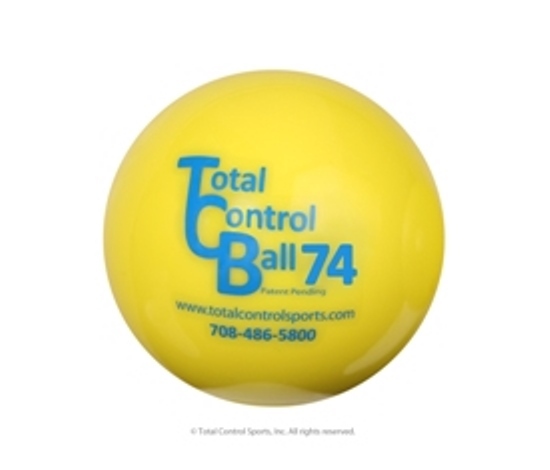 The Total Control Ball 74 is 2.9 inches in diameter and weighs 425 grams. The TCB ball can be used for both Fastpitch Softball or Baseball. The TCB BALL is used for both front and side toss. The optimum use is when the front toss method is used. With its weighted design, start out slowly with 3 to 6 solid hits and increase to maximum of 18 to 24 in one hitting session.